Robs Handyman Services - Insulation can save you big! Insulation can save you big! Insulation is very important and a few inches can save you hundreds in heat and air conditioning bills! Also if you don’t have enough in your crawl space the fast changes in temperatures will cause moisture problems! Moisture is a bad thing in crawl spaces you can learn more on moisture under my mold removal and water restoration page! We can add insulation to your crawl spaces both attic and under the house! We do blown in attics it is not too expensive and you will get it all back vary quickly by lowering your heat bills! Also adding insulation under your house helps lots on heating and cooling! Not very many homes have insulation in the floor and in the winter you can tell because the floors are cold and that means you’re losing that heat that costs you so much in the winter! 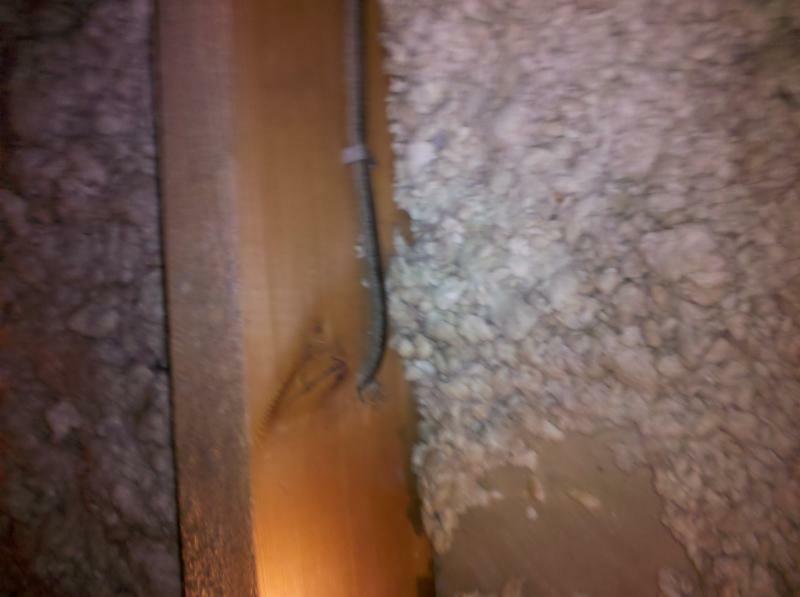 Also insulating the underside of your home helps keeps the air from under your home from interring you living space! You can have mold and mildew issues under your home from time to time and insulation is a blanket between the two spaces! After it’s installed you will notice your floors being warmer and your bills will go down! Older homes can be insulated in the walls without taking off and sheetrock > It can be done by drilling holes in the siding on outside and a hose is inserted to the bottom then it is filled with foam while the hose is retracted and the wall will be completely filled with foam! It will never settle like cellulose! It is also not very expensive and will save you tons! I can help you on your heat and air bills! There are lots of other things that will make your home greener and not only save you money but help or earth!